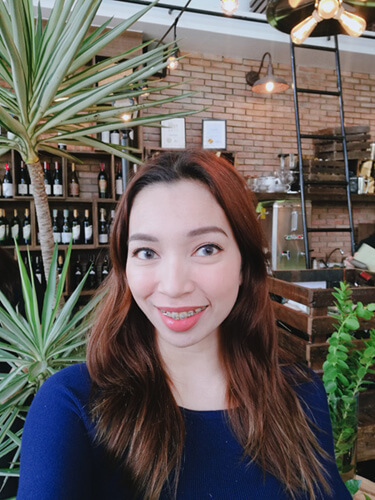 The Macho Mom by KikaySiKat is a popular and award-winning beauty and lifestyle blog that is full of reviews and tips on makeup and skincare. KikaySiKat was adjudged as the 14th most popular blog in the Philippines and the 24th best lifestyle blog in the world. It has a strong following on social media with over 18,000 Facebook fans and almost 24,000 Instagram followers as of this writing. Ms. Kaycee Enerva is the beauty and brains behind KikaySiKat. Kaycee is a full-time mom, writer, and SEO consultant. We talk with Kaycee about her blog, her beginnings as a blogger, and the challenges she faced while blogging. 1. Can you please tell us and our readers a little about yourself? I’m Kaycee, a mom 24/7 who blogs at www.kikaysikat.com. I create content and do SEO consultancy for a living. I play with the stock market for fun. I have 3 dogs and 1 cat. I’m addicted to the gym because I love to eat. My readers are smart, fun, real, and never pretentious. 2. What is KikaySiKat, and what inspired you to start it? It’s an outlet to express all things that pops into my head. Writing has always been my passion ever since. 3. Are you a full-time blogger? How did you get started with blogging? Full time. I’ve been creating websites since 2000 I was 13 yrs old. I officially started KikaySiKat in 2009 because I wanted to review makeup and skincare but it eventually grew to something more. 4. What is your typical day as a blogger? I only write when I’m in the mood. Or when I have sponsored campaigns HAHAHA. I get to express myself and share what I know to everyone. 6. Your blog is mostly about beauty and lifestyle. What are the challenges and problems that you faced when blogging about those topics? When I get bored. I just write about something else. 7. What has been your biggest mistake as a blogger? Hmm when I used to get social media envy. 8. I notice that you have reviewed a number of beauty products. How did you get products to review? I buy most of them to be honest. The few items I get from brands, they contact me directly through my Instagram or email. 9. How do you generate traffic and readers for your blog? I don’t know. They just go to my blog ???? But I do maintain social media accounts. 10. Do you have bloggers that you look up to? Who are them and why? Yep. Earth of earthlingorgeous.com. It’s dog eat dog world in our industry and she’s one of the few who maintains integrity, keeps it real, and prioritizes what’s important. Her family. She’s also been in this industry longer than I have and she’s adaptive and resilient. 11. What advice can you give to aspiring or new bloggers who want to follow in your footsteps? Don’t blog for fame. Don’t blog for money. Blog because you want to write. It’s not all fame, poses and photographs.